Comfortable for seven. Great chain-cam 1.4 TCe 130 engine. Brilliant new chain-cam 1.6 dCi 130 diesel engine from mid 2011. 2.0 dCi torque a bit disappointing. 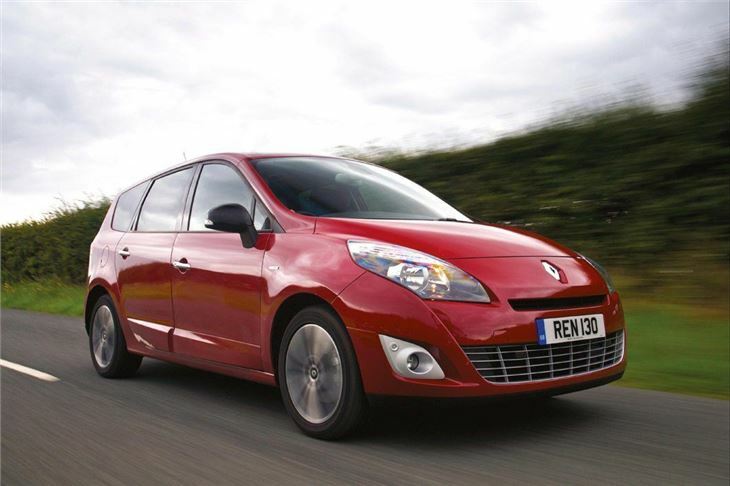 Just as Renault was first in Europe with a full size MPV (the innovative Espace), it was also first in Europe with a mid size MPV. 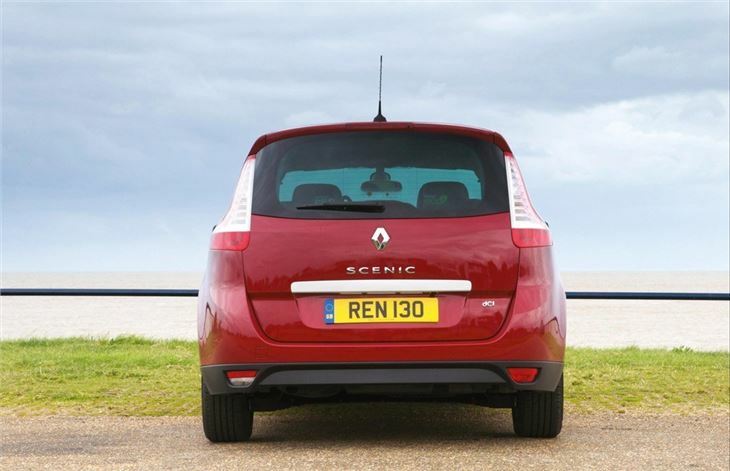 Now we are into the third generation of Renault Scenic. So is it just change for the sake of change, or have they managed to make it significantly better? 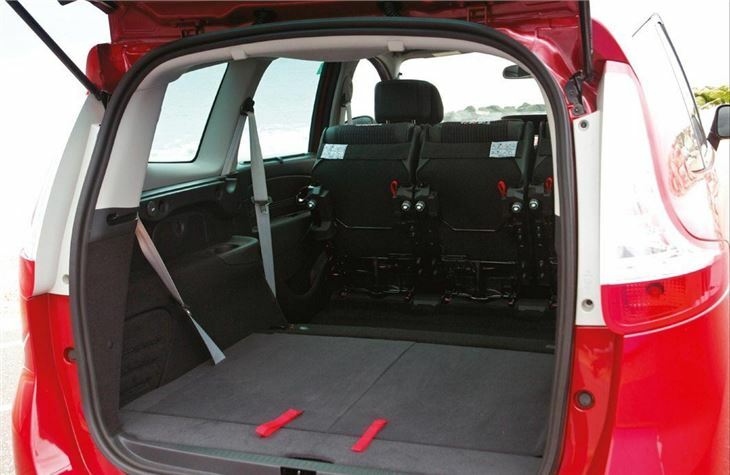 For marketing reasons, the UK gets the 7-seater Grand Scenic first, in May, and the shorter 5-seater Scenic will follow in July. 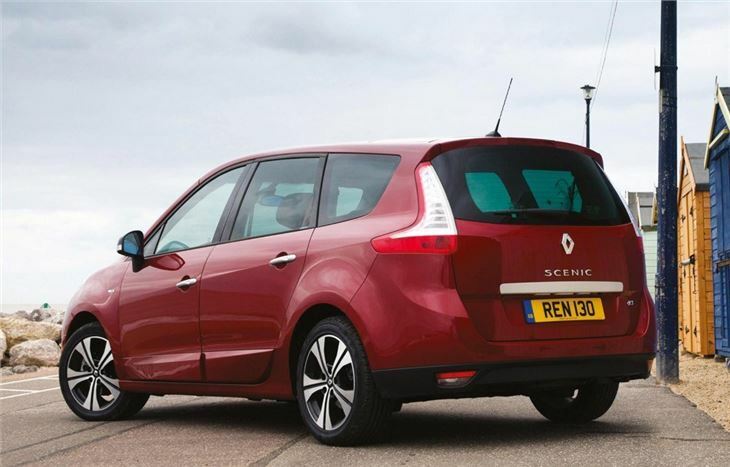 The new Renault Grand Scenic is remarkable value for money, with prices starting at £1,060 less than before, for more car. 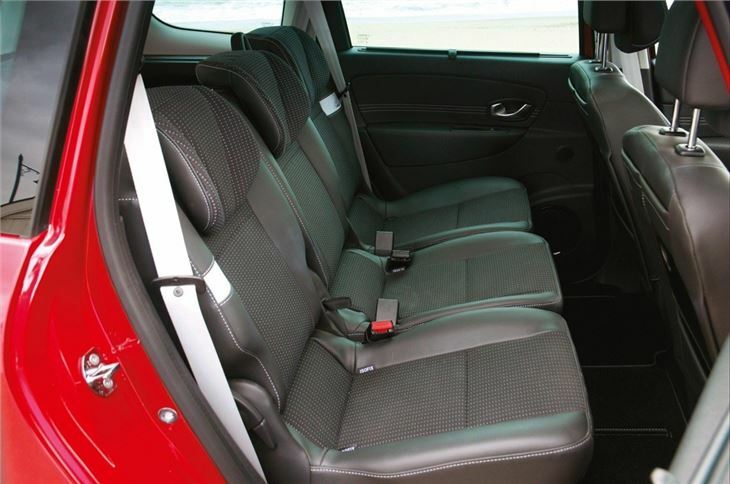 £14,995 for the base model 1.6 Extreme undercuts the worthy, but van-derived VW Caddy Maxi Life by £1,000. Obviously, as features increase and better engines find their way under the bonnets, Grand Scenics start to get dearer. 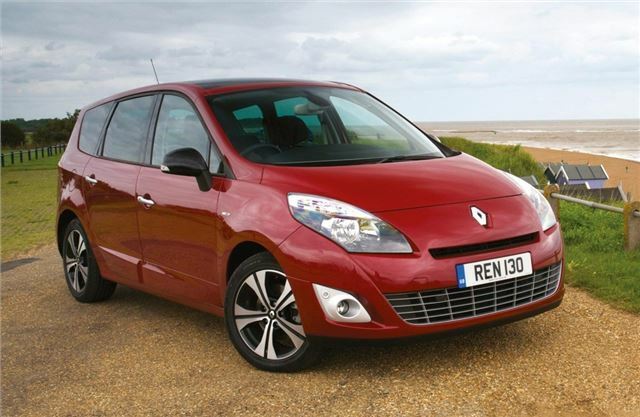 Diesels start at £16,495, for the lowest emission 7-seater you can buy (138g/km). 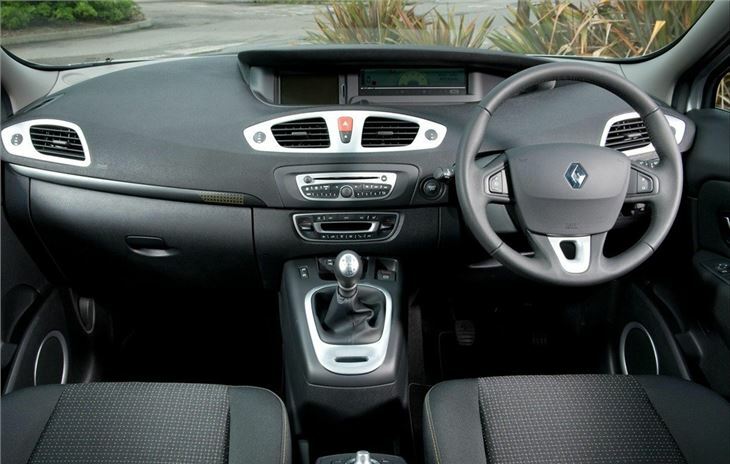 While the best engine (in my opinion, anyway) is the chain-cam, water-cooled turbo petrol 1.4TCE 130, from £17,595.